Historic Jones Stadium at El Paso High School will play host to a free football clinic for 300 El Paso ISD student athletes. At the clinic, Dallas Cowboys Youth Camp Coaches will instruct students on techniques and skills. Camp Coaches also will be joined by a Dallas Cowboys current player to assist in sharing football insights and other life lessons. The Dallas Cowboys High School Clinic Presented by the Texas Lottery will give both male and female students from each EPISD high school the opportunity to learn both on- and off-the-field lessons. The clinic will start at 11 a.m. on Wednesday, April 19 at the Jones Stadium of El Paso High School, 800 E. Schuster. There will be three sessions for participants throughout the day and participation is restricted to EPISD students only. Participation was limited and on a first-come-first-serve basis. The clinic is open to current ninth through 11th grade students in EPISD. • WHAT: Dallas Cowboys High School Clinic – El Paso, TX – Presented by the Texas Lottery. • WHEN: 11a.m. to 4:30 p.m. on Wednesday, April 19. 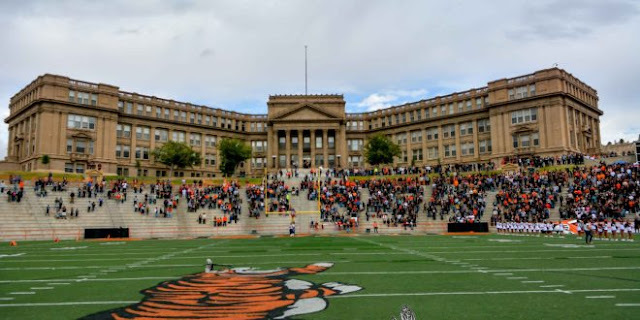 • WHERE: Historic Jones Stadium at El Paso High school, 800 E. Schuster. • WHO: Dallas Cowboys Youth Camp Coaches with 300 EPISD students atheltes.